For all of you historical fiction fans who sometimes read fantasy (not sure how many are out there, besides me), please visit this gallery of LOL fantasy cover art. LOL! I really need to put my four to use on this site. I admit it took a couple shots to get Callie to pose appropriately with the Frazier. So what does Callie think? Would my Stripes like to read it? Callie may be cute, but she's not the brightest cat in the world. She was mesmerized by the dust jacket and didn't get any further. 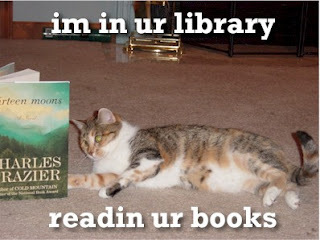 But if Stripes enjoys local history and has the yearning to be a wild mountain cat, then sure. No, I can't see it. Stripes likes her food delivered to her at very precise times and would not enjoy having to catch it. Maybe she's more of an Edith Wharton kind of kitty. Yep. 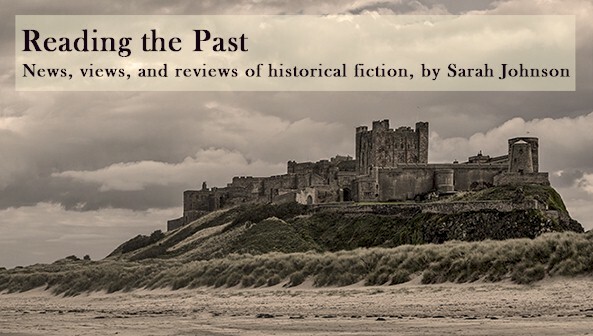 History fiction chicks like fantasy and sf too. And the idea of cats dreaming of being wild mountain lions even if they like their actual food dainty. Can has historical fiction lols 2 plz? Plz?